Pillow Party! 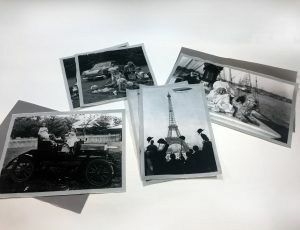 Turn your old photographs into keepsakes. 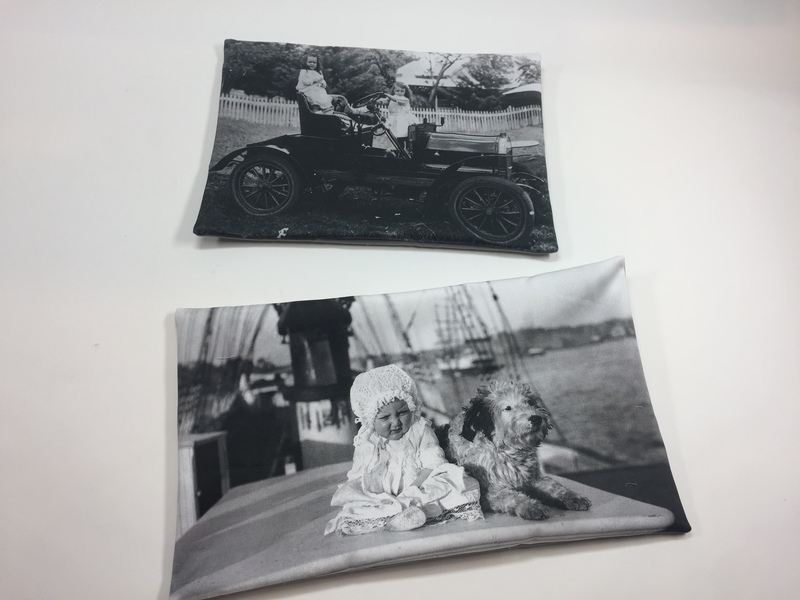 We can print your cherished memories onto any of our high-quality fabrics allowing you to create personalized gifts or sentimental treasures for yourself. 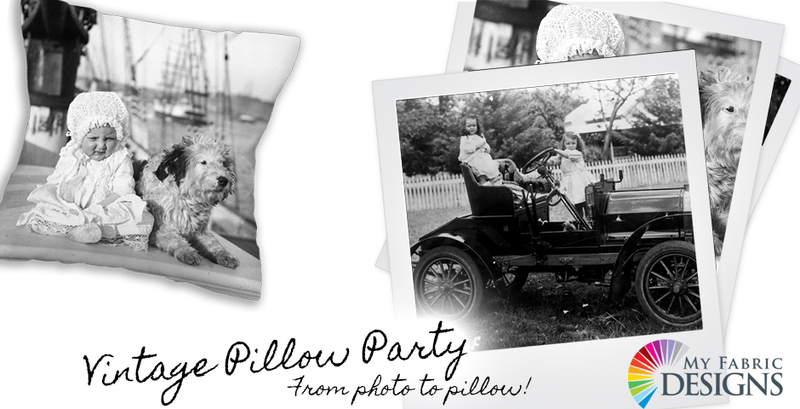 ❤ Today we will show you how to use our creator to turn your images into pillows! 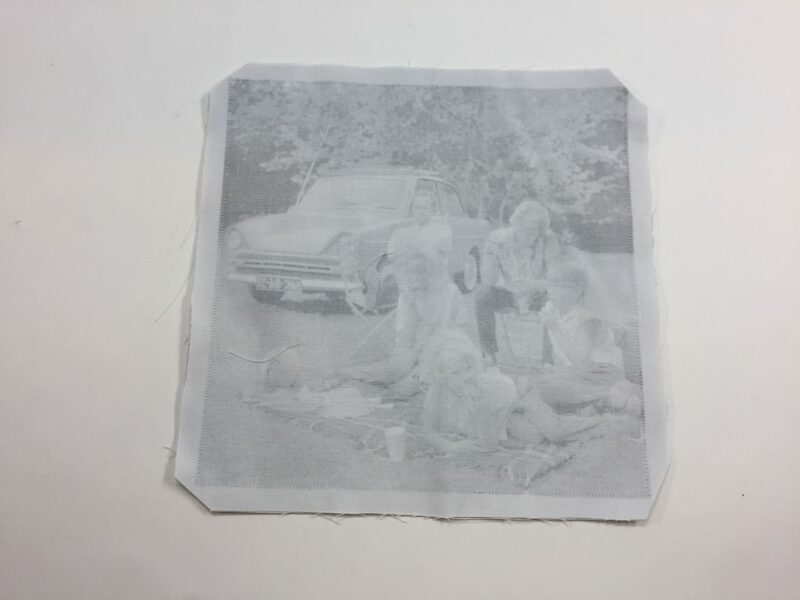 Follow along with the instructions and video below to learn how to use our creator tool to turn your images into your very own custom fabric! 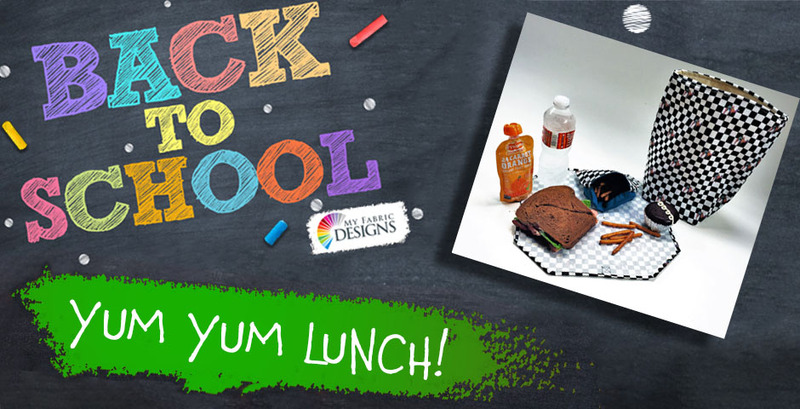 If your design is ready to go as is, feel free to upload it and print right away. 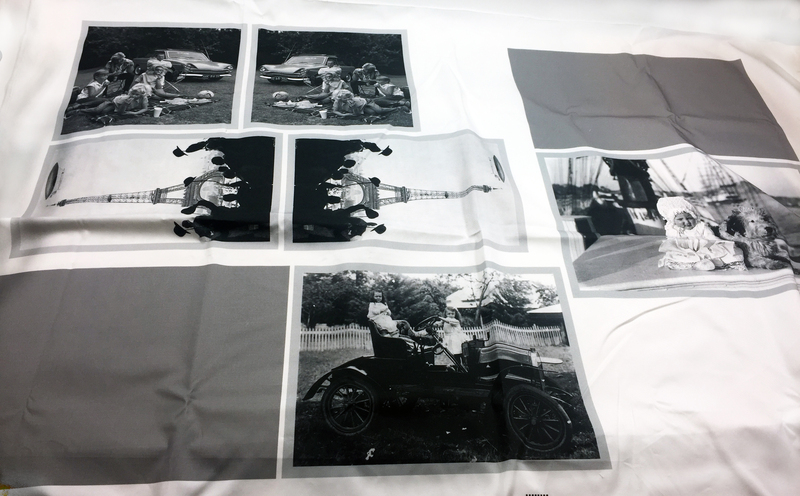 You can get any design printed on any of our fabrics. 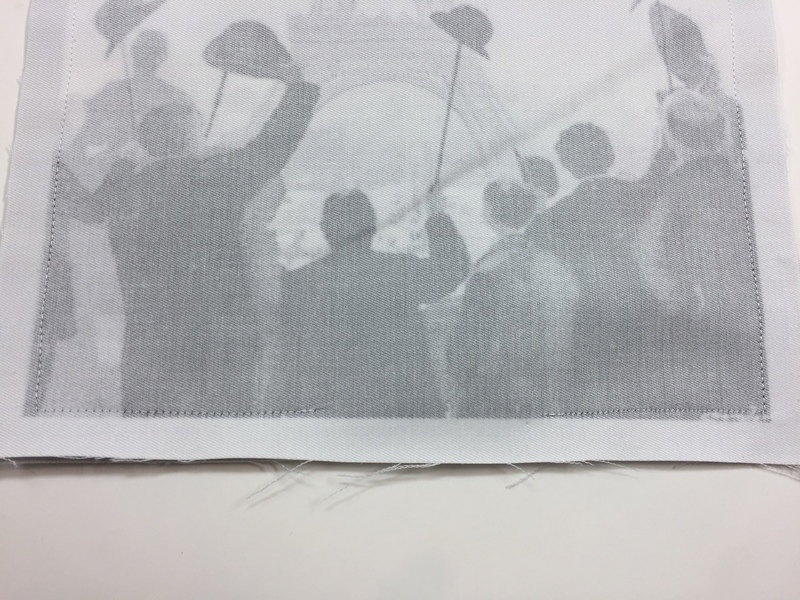 We chose to get ours printed on our Heavy Cotton Twill. First Start by setting your design size. We chose to make 4 pillows on one yard of our Heavy Cotton Twill. 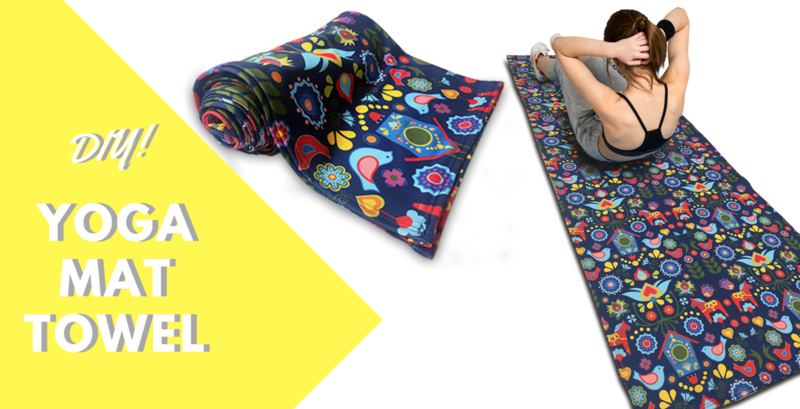 To do this we made our pattern the size of a full yard, 54″x36″. Next you will add your first image. To do this you will go to the add drop down menu and choose image. A pop up will appear and you will choose the file from your computer that you want to insert and click open. Now your image will appear in your work area. You can adjust the size of your image by going to the settings tab with the small gear to the left of the screen. Now you will add a border around your image for seam allowances. Go to the Add drop down menu and add a rectangle. Adjust the height and width 1″ larger than your original image. This will add 1/2″ seam allowances around your entire image. You will now send that rectangle to the back by going to the Arrange drop down menu and choosing send to back. Once it is sent to the back you can drag your mouse over both your image and the new rectangle to select them both. Now you will go to the arrange drop down menu and group them together to make them one cohesive object. 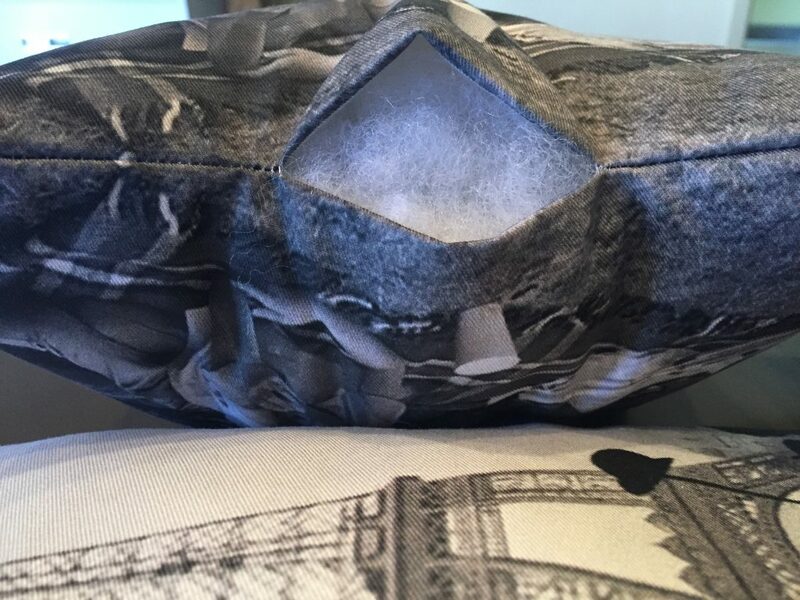 To make the back of your pillows you can copy your image and flip it horizontally to have the same on both sides, or you can create a new rectangle and make it the same size as the last one and choose your fill color. 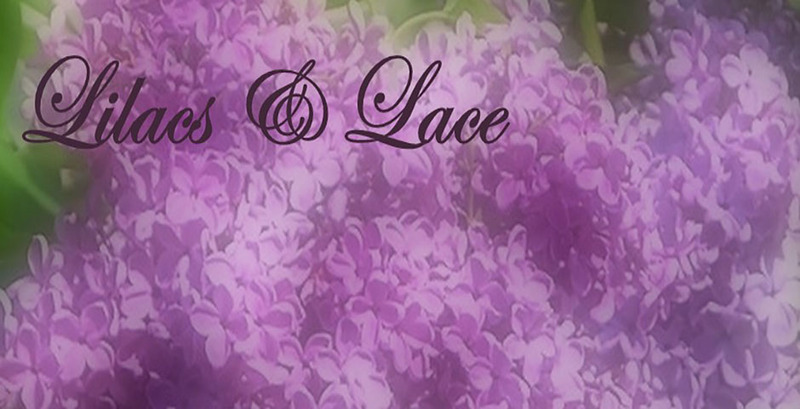 You will do this for all of your images and arrange them throughout your yard so that all will fit. Once everything is just the way you want it you can process your fabric. 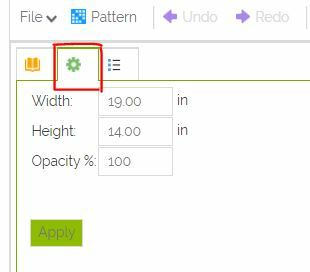 You will then be taken to the customization page where you can choose your fabric and tiling options. You then will place it in your cart for purchase. 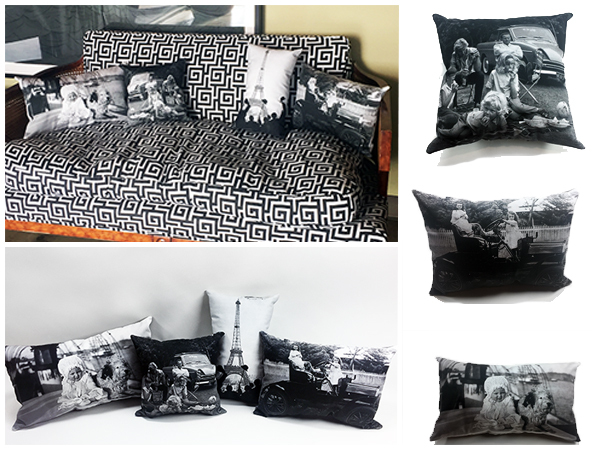 Once your custom fabric has arrived you will then proceed to cut out each image and backing of pillow. Next you will take the front and back pieces of each pillow and pin together with right sides facing one another. Now you will sew around all edges at your seam allowance, we made ours 1/2″. Be sure to leave a 3″ opening at the bottom of each pillow. You will now clip the corners and turn right side out. Now it is time to stuff. Using your pillow stuffing stuff the pillow until it is nice and plump making sure to get it in the corners. Once your pillow is nice and full you will now close the opening. 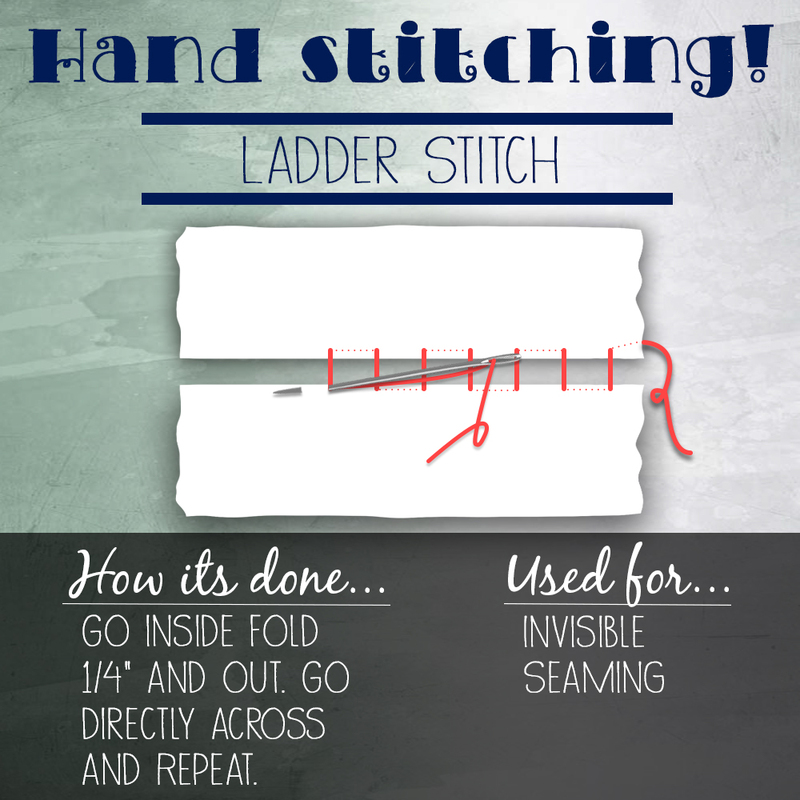 Using a ladder stitch, hand stitch the opening closed. Voila you are all done! 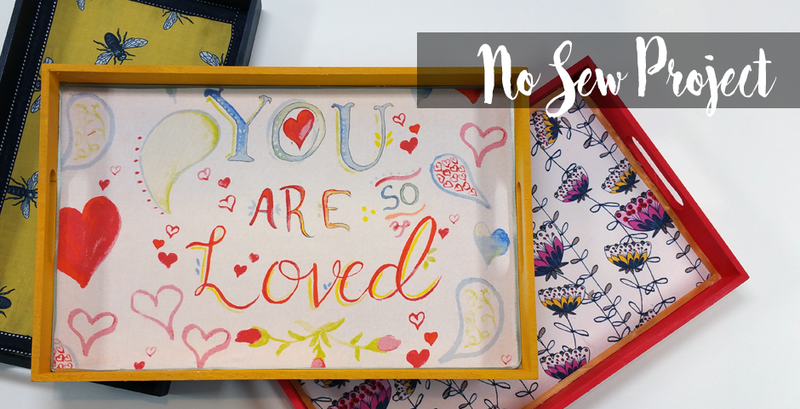 Give these as gifts or keep them for wonderful memories throughout your home.